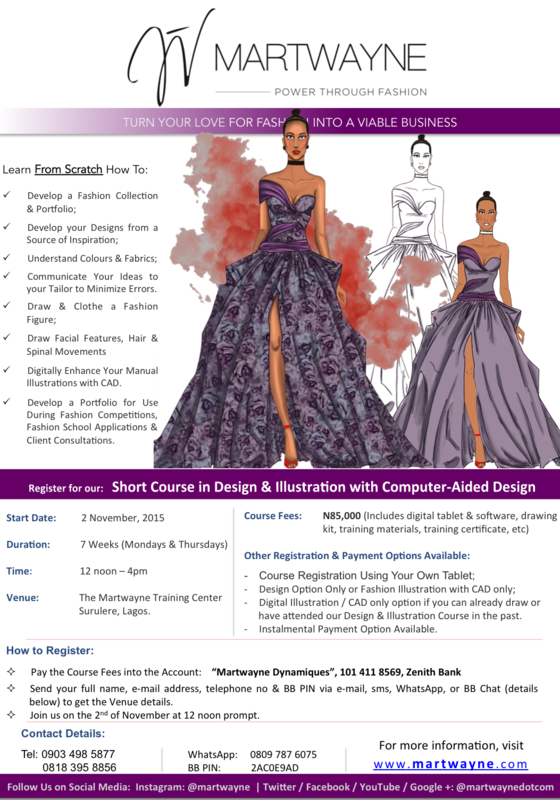 Martwayne | Power Through Fashion: Register for the Design & Illustration with Computer Aided Design (CAD) Course; Start Date: 2 November, 2015. Register for the Design & Illustration with Computer Aided Design (CAD) Course; Start Date: 2 November, 2015. Yes! Yes!! Yes!!! I am TOTALLY EXCITED about this Course like you have no idea! This is our BRAND SPANKING NEW COURSE which we have this year! Excited.com is what I am at the moment! And I tell you, I am really chuffed we are able to offer this Course now so those who want to kick off 2015 with stunning portfolios for fashion school registrations, competitions and move on to the next level! YES! I have been dreaming of how to develop and deliver this Course and now it is here! Yes! This is a picture from the last class we just concluded. And it was really good! Here is Tolu all the way from Ibadan learning how to draw a face and I think she did pretty good! And she also started to learn how to draw from scratch! And that's what it's about! 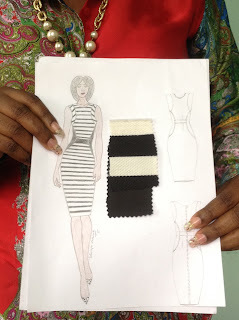 We lead you every step of the way starting from how exactly to develop a fashion collection from just an idea. And to be honest, after or Fashion Talk on Saturday, everyone really should be rooting for this! There is a big need around here for this! 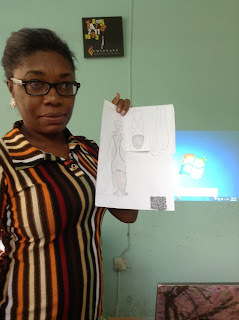 NOW we are taking it a step further and teaching you how to move from your normal pencil drawing to digitally enhancing your images using CAD. 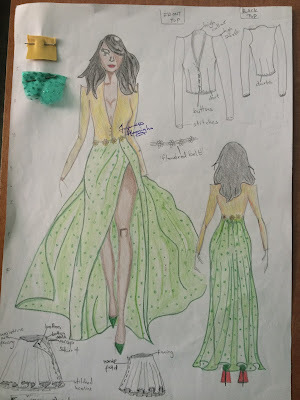 And I am sure you all would LOVE to learn how to do this using the actual print of the fabric rathe than having to draw the print manually and other stuff! If you loved the pictures in my flyer, then I am sure you would also love to learn how to do this! Now the beauty about this part is you would actually be required to develop a proper fashion collection and defend it. You never really know what you can do except you are pushed. 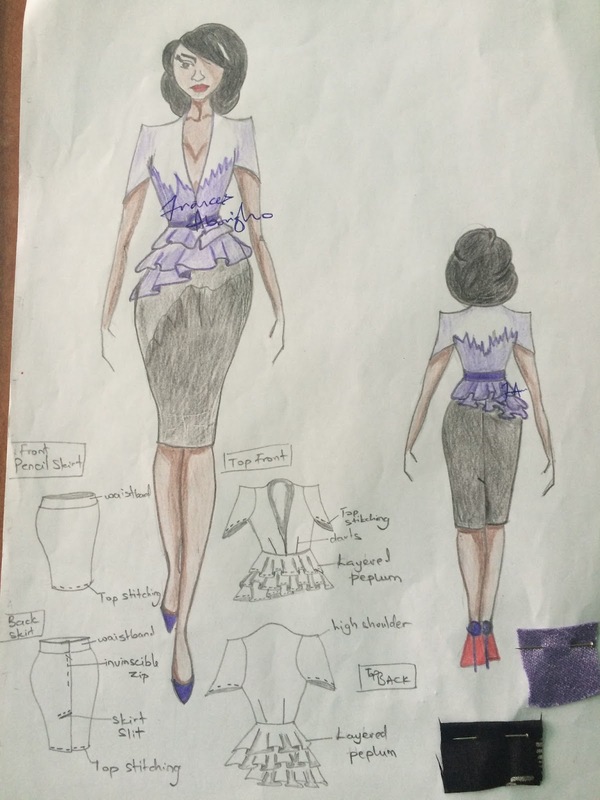 I recall in the last class a student who initially created a project which I rejected and then she came up with an AWESOME collection based on medical injections! I was blown away and actually placed an order for one or two of her work! 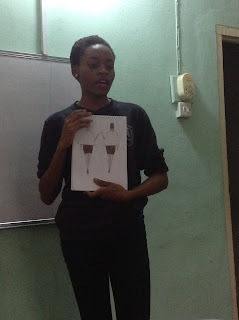 In another class, we actually discovered that a student got her target market wrong based on her designs. 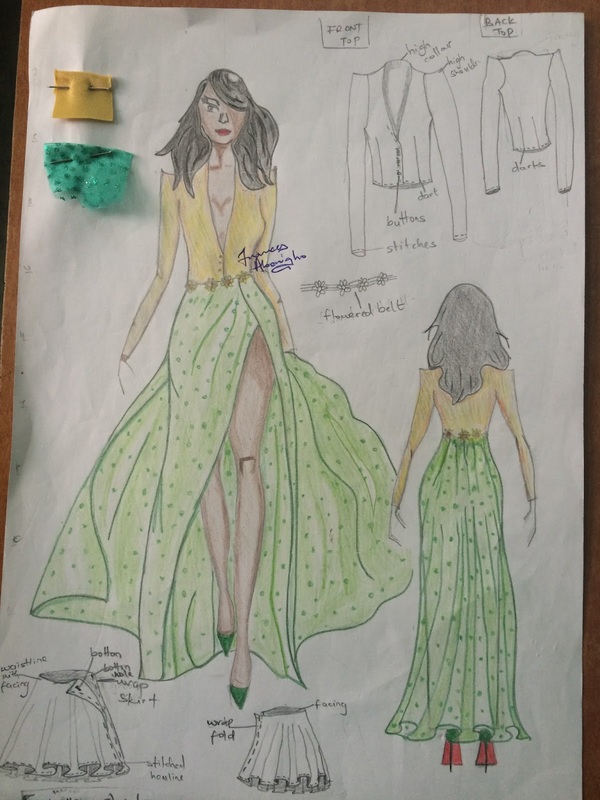 NOW she thought her target market was aged 24 - 35 whilst her designs showed she should have been targeting a market for sophisticated women aged 40 and above. Without that exercise, she would have been frustrated and would have made made ZERO sales because she would have been marketing her work to the wrong people. It was a real eye opener. So if you can, you really should do this part! You will be amazed at what you will come up with when you push yourself! 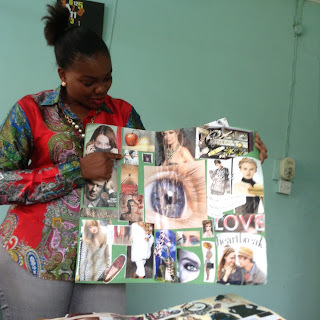 Here are pictures of students defending their work. It is actually quite rigorous and it makes you adjust to constructive criticism so I will really encourage you to. The beauty about this particular course is that there are so many options to choose from; regardless of whether you have never drawn a straight line without a ruler or if you have been drawing right from when you could hold a pencil! Fees: N85,000 (and the fees come with everything including the digital tablet and software which is of course the advisable option). If you, however do not want the tablet and prefer to use yours, e.g. your iPad or your Android, the fees are N70,000. I can safely tell you that the tablet costs a lot more than N15,000 and if you come with your tablets, you need to buy a stylus which costs N7,000 and buy the app from the store for download onto your iPad. If you use an Android, there is no pro version of the app anyway which limits what you can do so I would really advise you to pay for the full Course (or any of the options below that comes with the tablet). If you are choosing the option with a tablet, please come with your laptop to the Class. These are for students wishing to do Part 1 only. It really pushes you to the limit and trust me it is an eye-opener. The fees are N25,000. Here, you could decide not to do Part 1 of the Course. This for Illustration Gurus & those who have taken our our Design & Illustration Course in the past. This Option means you will only focus on Part 3. 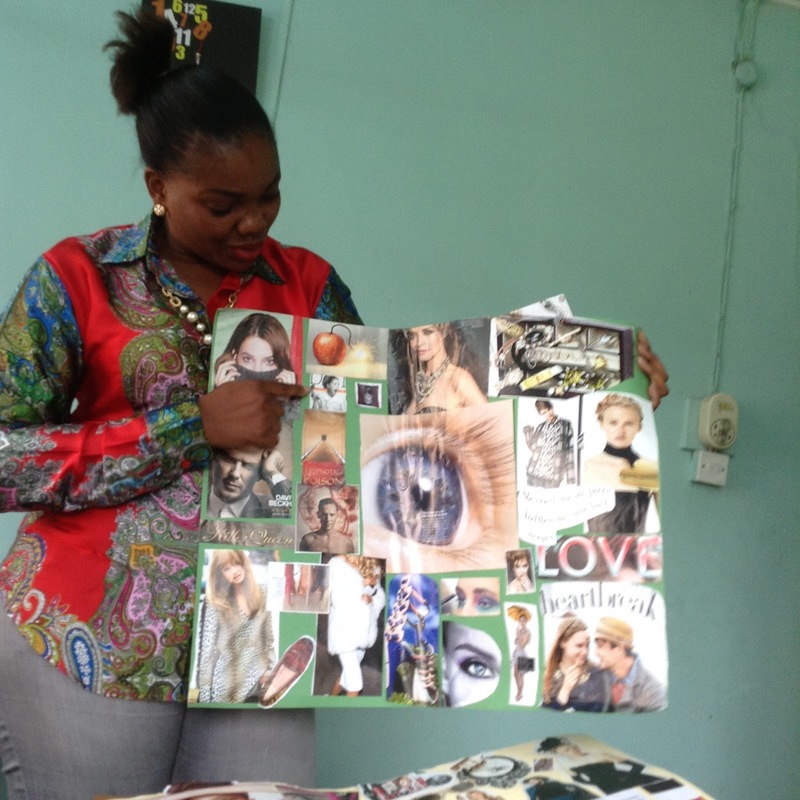 Classes will take place on Mondays & Thursdays at our Training Centre in Surulere, Lagos from 12 noon to 4pm. We do prefer full upfront payments but you can pay in a maximum of 2 instalments for the other options except Options 2 and 4b. The deposit will be 85% of the total fees and the balance of 15% is due halfway during the Course or before the CAD Course begins; whichever is earlier. Simply pay the fees into our Martwayne Dynamiques account, 101 411 8569, Zenith Bank. Join us on the 2nd at 12 noon prompt! We always start early so please be here early! If you want to visit us ahead of time to check us out first, please let me know so we can make a plan. If you have any question whatsoever, do contact us as well.